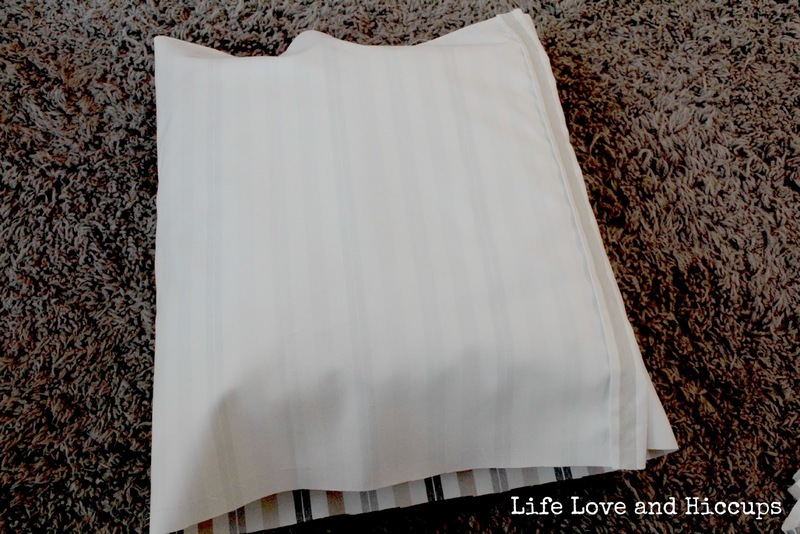 How to Make The Easiest Cushions Ever! 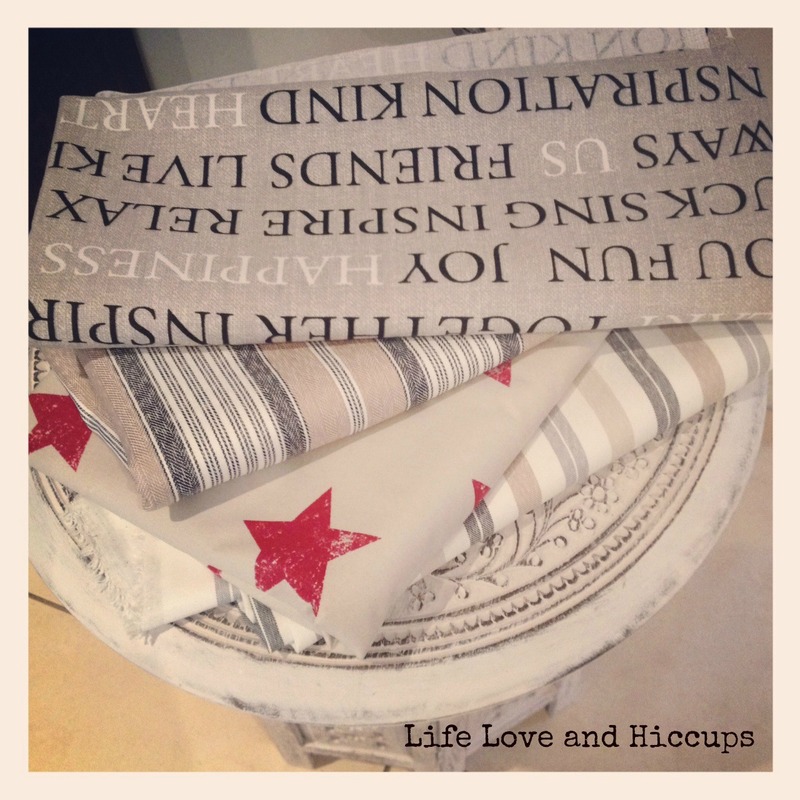 | Life Love and Hiccups: How to Make The Easiest Cushions Ever! 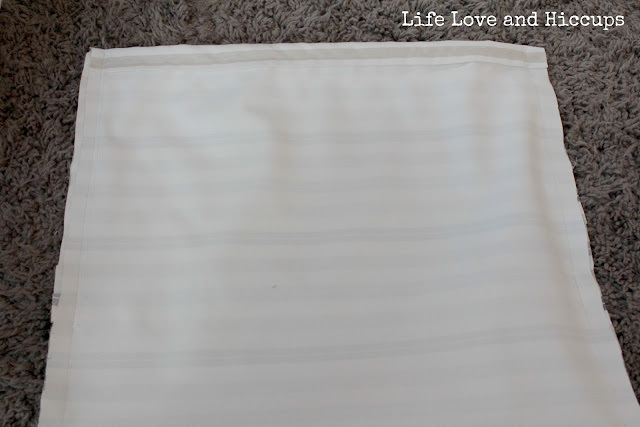 Are you a sewing amateur like me but want to learn how to make super easy cushions that take like next to know time at all? Well have I got the goods for you today! First things first though, I have a small confession to make. *Stands up and hangs head in shame* Hello my name is Sonia and I am a cushion addict! There I said it and I have to say it is surprisingly liberating to get that off my chest. 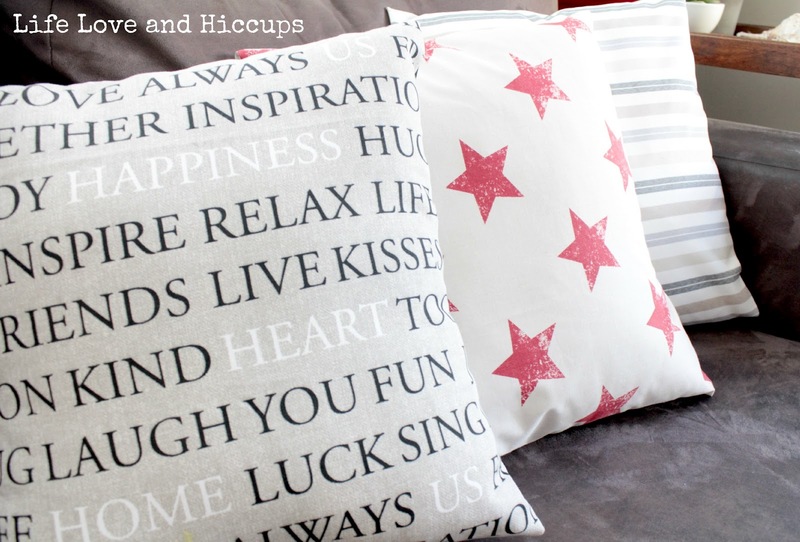 Actually truth be told, I hate to think how much money I have spent on buying cushions over the years. I see them in shops and I just know they belong with me and before I can even begin to think about where I will actually out them, I am handing over cash to the sales person and smiling as the new cushions are lovingly placed in a bag ready to travel home with me. It doesn't help that I have a mad poodle who gets jealous when I am on the phone and punishes me by eating my cushions.It drives me insane and I end up shouting at the dog likes some crazy woman delirious with grief at the demise of my cushions. I suppose that's why he does it, as it gets my attention. That's exactly the type of thing this furry child of mine does and the animal psychiatrist we employed to help our pup with his issues (oh that's a whole other post) tells us it is typical behaviour of a dog suffering from separation anxiety aka neurosis. Anyway enough of my rambling as it's supposed to be all about the cushions today. 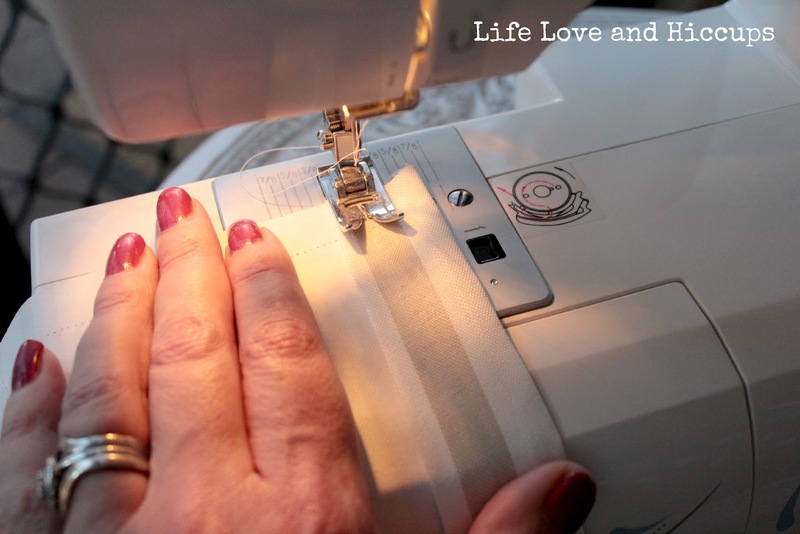 Late last year I went and bought myself a sewing machine as I was sick of sewing everything by hand. Every now and then I get it out and have a play, just to show my husband that I am totally getting my monies worth and to justify its place in our home. To this date I have made a couple of lunch bags, some bunting and sewn some hems. Really adventurous stuff right! 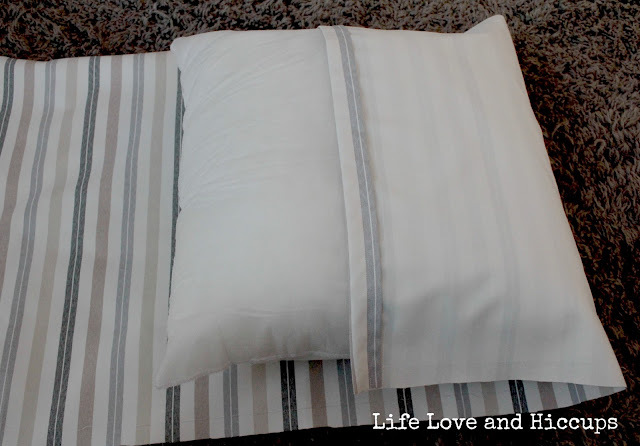 Last week I was playing around on Pinterest (as one does) and I came across a link to a video that claimed to show you how to make cushions in 5 minutes. Oh the sun suddenly shone bright and the angels sang and I .... well I grabbed my bag and headed to spotlight to get me some material. I had cushions to make! 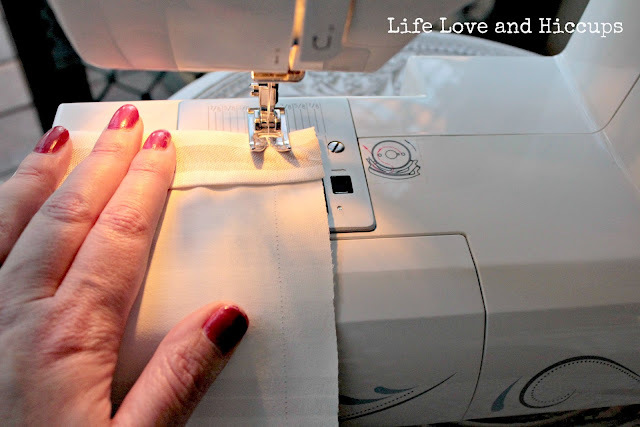 Now let me start by reminding you that I am a total novice when in it comes to sewing N.O.V.I.C.E! But I nailed these cushions and I make no apology for my lake of modesty. In fact I was so excited to show of my newly discovered talent to save huge amounts of money make cushions, that I spent all weekend taking photos of my creations and posting them to instagram and showing them off to friends who dropped by. Yeah, I was a little proud of myself and probably got a bit carried away. But Come on, I am the girl that flunked a Knit Wits class. I am going to try and show you the steps for those who are interested in having a go yourself. For my readers who are pros on the old sewing machine, please excuse my unbridled excitement at something you could probably do with your eyes closed. For those who are keen to make these cushions for yourselves, I hope my instructions are clear enough, but feel free to ask me any questions and I'll try to answer. Step 1. Go and treat yourself to an hour or two at spotlight or Lincraft or any other Fabric store and pick yourself up some material. 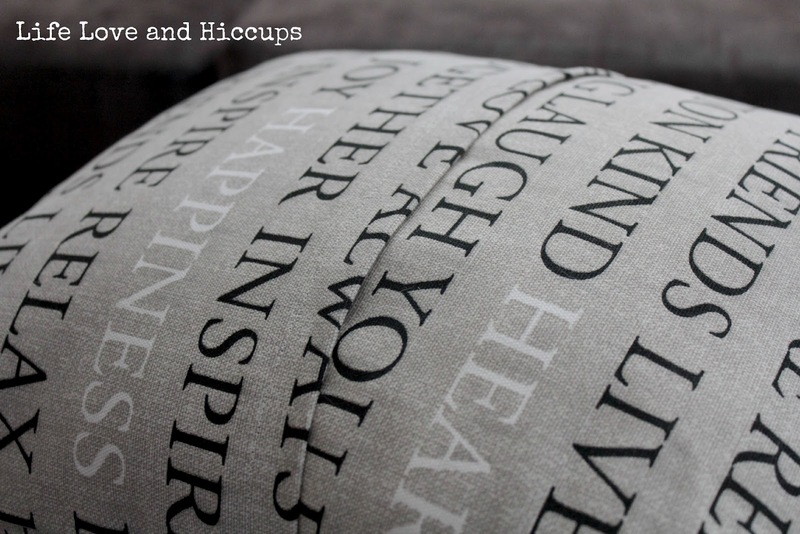 I bought a metre and a half of each of the patterns I liked which was enough to make three 16 x 16 inch cushions. Step 2: Cut out the length of material you need for each cushion. Basically you want 2 and a half lengths of your cushion with 2 inches on the sides. 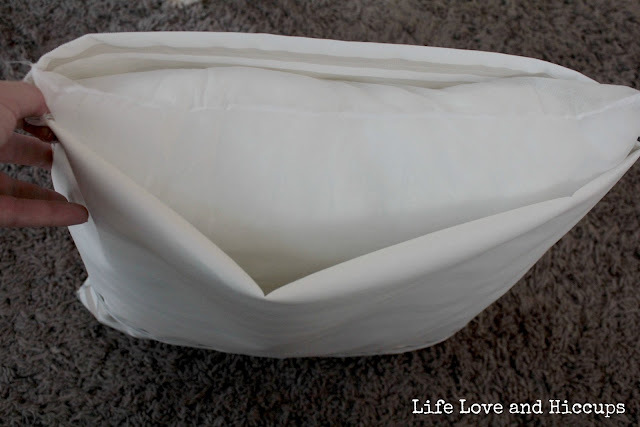 You will end up with enough material to wrap your cushion like I have in the photo below. 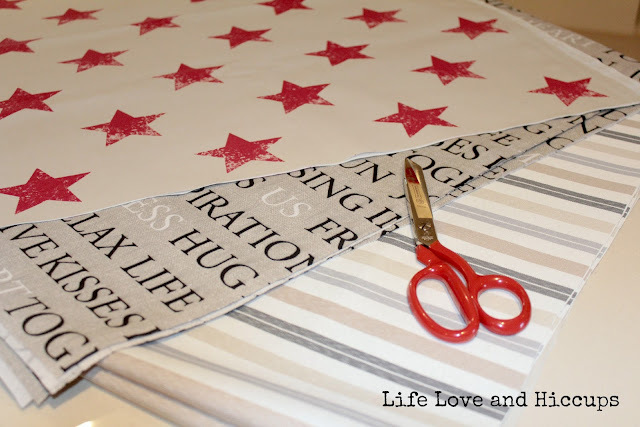 Once you have cut out one length, you can use that piece as a pattern to cut out all your other covers. I found it easier to cut and prepare everything first so that once you sit down to sew, you don't need to stop to prepare for the next cushion, you can do them all in one batch. Step 3: Once you have cut out your lengths you need to fold and press a hem. I did a double fold of about an inch at each end of the material (top and bottom). Step 4: The sewing begins. 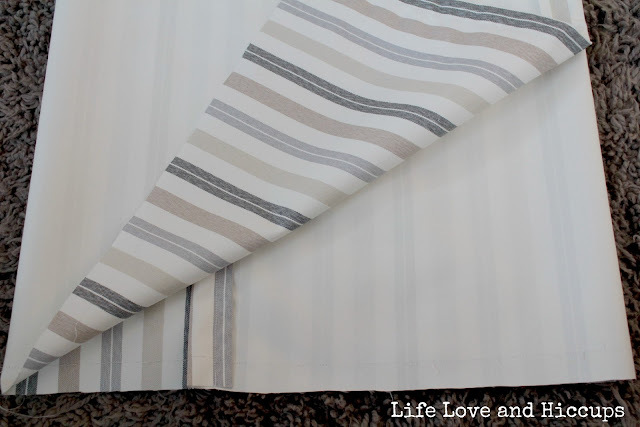 Stitch down the hems you have pressed at both ends. Again, do all your lengths in one batch. 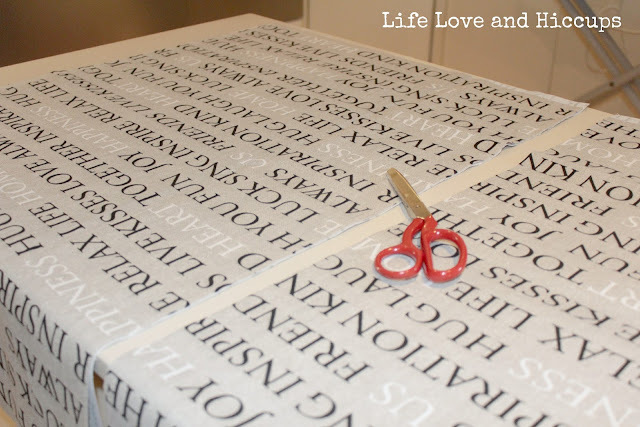 Step 5: Now you want to create an envelope. 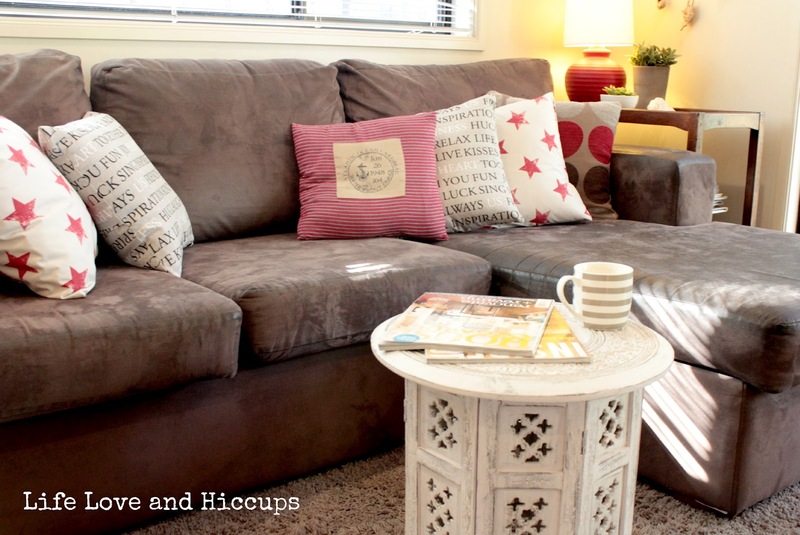 Place your material face up on a surface and grab your cushion insert. You want to fold the first piece to the halfway point on your cushion. 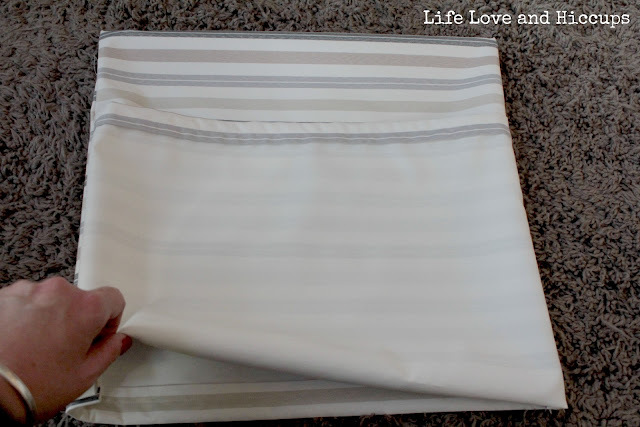 Then fold the bottom length up like the photo below. Use a pin at each end if you need to, to remember where your folds are then slip out the pillow and refold. This is what you will end up with. Step 6: You now need to sew up the sides of your cover, kind of creating a bag so to speak . Once you've done that, that's all the sewing done and this is what you will end up with. You can trim down each side to neaten up at this point. 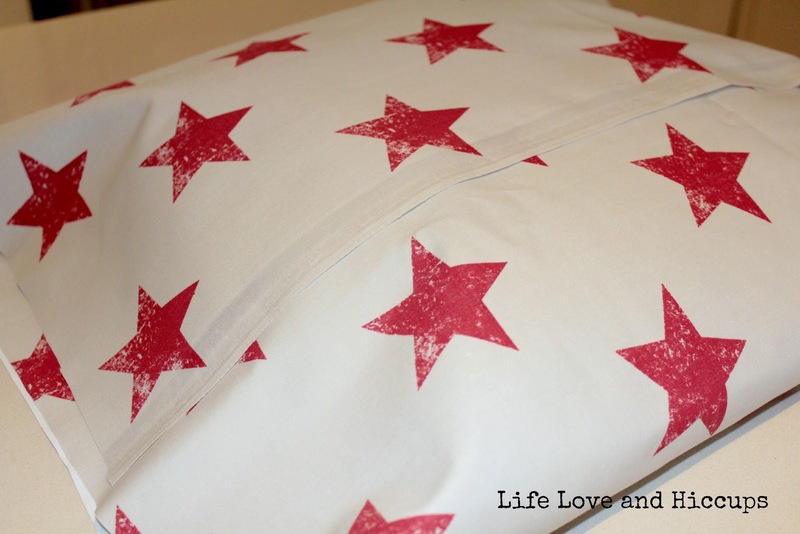 Step 7: Turn your bag / cushion cover inside out and you will have something that looks like this below. Step 8: Now stuff that cushion in baby! Step 10: Make yourself a cuppa or a glass of wine and sit back and enjoy your handy work - you are now a cushion master. If my instructions made no sense at all, there is a video you can watch here from City TV.com which shows you how to make these easy cushions. 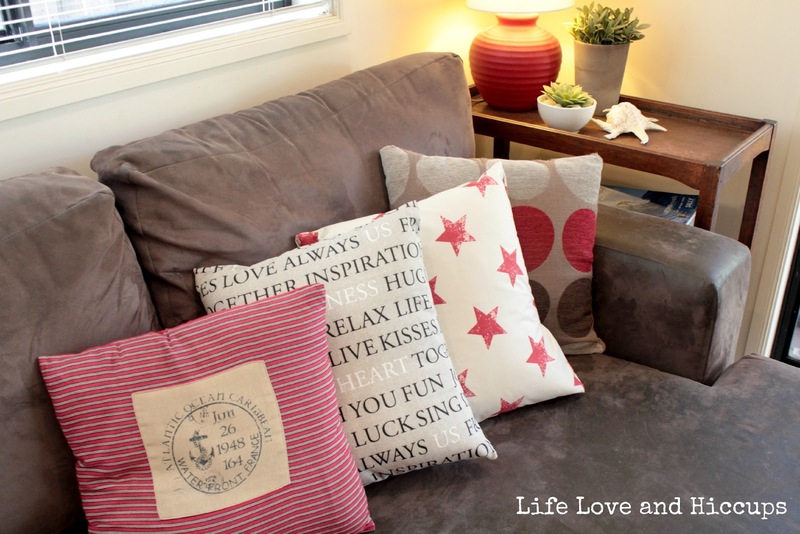 I made 9 cushions in under an hour and all the materials including the inserts cost me no more than $60. Now according to my sums if I normally pay $40 approx for a cushion, 9 cushions would have cost me $360 so I have just saved myself roughly $300 . More money to spend on other important things like a chalkboard wall or ummm some new material for the curtains upstairs I am gonna have a go at sewing and bragging about. 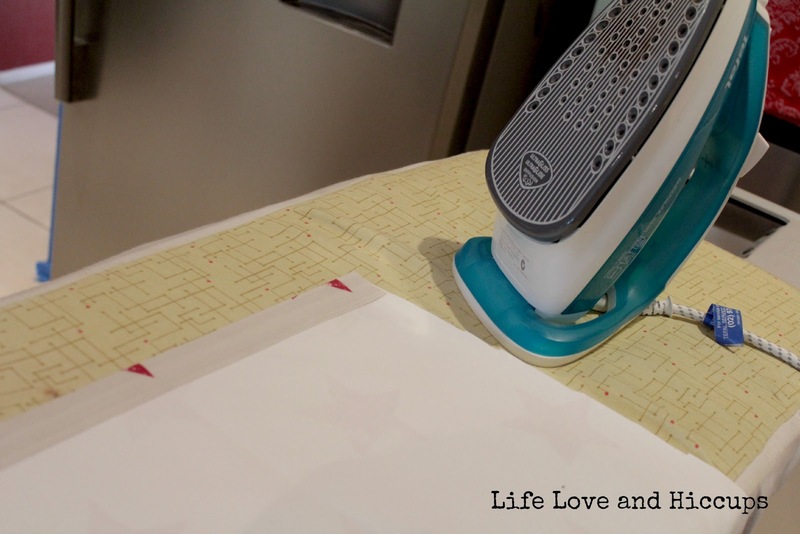 What other things have I been totally missing out on in the sewing world? Got any sites you know about that will teach me to make curtains? Do you have any homeware fetishes you care to confess to?